Used Lunar Alpha For Sale. Refurbished, Pre-Owned & Reconditioned Bone Densitometers at Reasonable Prices. Used and Refurbished Radiology Equipment and X-Ray Equipment, Used and Refurbished Diagnostic Imaging Equipment, Used Cath Labs, Used C-Arms, Used MRI Systems, Used CT Scanners, Used PET Scanners, Used Nuclear Medicine Equipment, Used Mammography Equipment, Used Fluroscopy Equipment and Used Cardiology Equipment. 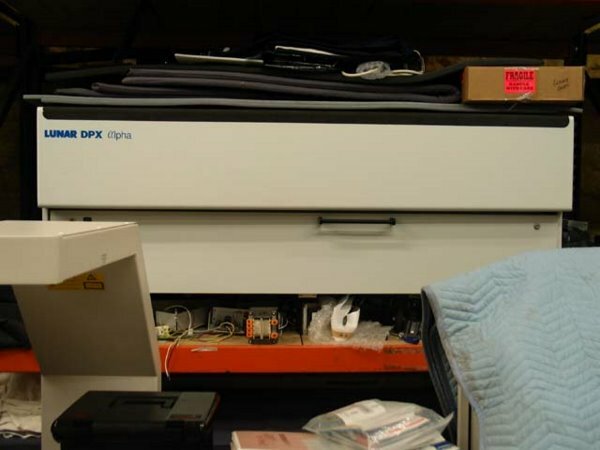 Scanning Sites: Ap Spine, Femur, Left & Right Hip Complete System with HP Color Printer, Pentium Computer, Y2K Upgrade, Phantom and Operators Manual.